TV Stations around the country deliver their signals direct from their broadcast towers without being compressed. This means your antenna picks up the best possible HD broadcast picture directly from the source provider and not a middle man like cable or satellite. 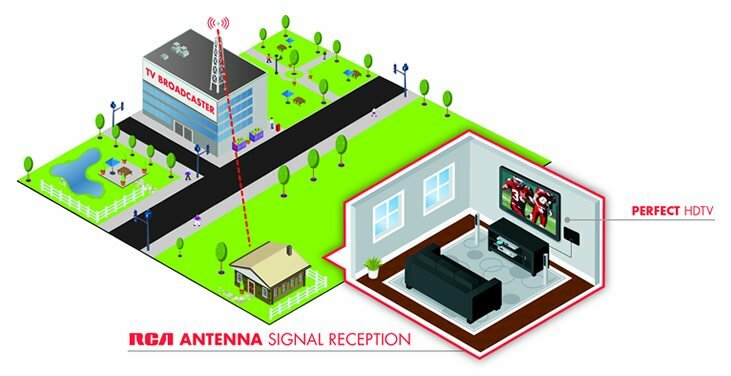 RCA antennas using SmartBoost™ technology will also receive these signals and amplify them without amplifying the background noise that is sometimes broadcast. What that means for you is the best and highest resolution HD picture available. 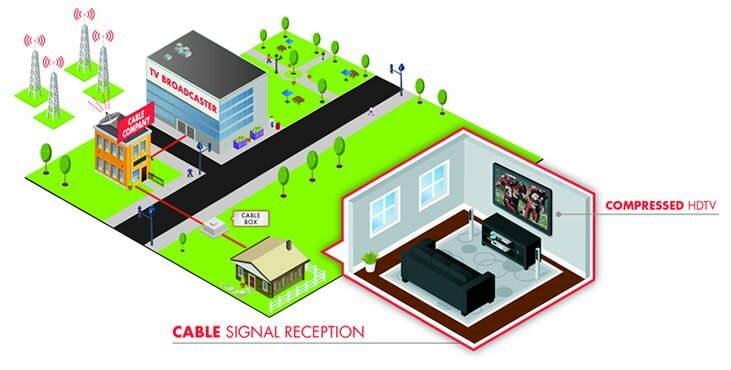 Cable providers deliver a signal inferior to that of what you receive with an RCA antenna. The reason is Cable providers are middle men between TV broadcasters and you. Cable companies receive the same signals from TV broadcasters that you would receive with an RCA antenna, with the difference being that they take the signal, compress it, send it from their offices to a cable box, and then split that cable feed between multiple homes. Each step of the way it loses more and more quality, meaning a lower HD picture for you. Similarly to Cable providers, Satellite signal providers also pull their source broadcast signals from the same TV broadcasters that you can pick up with an RCA antenna. 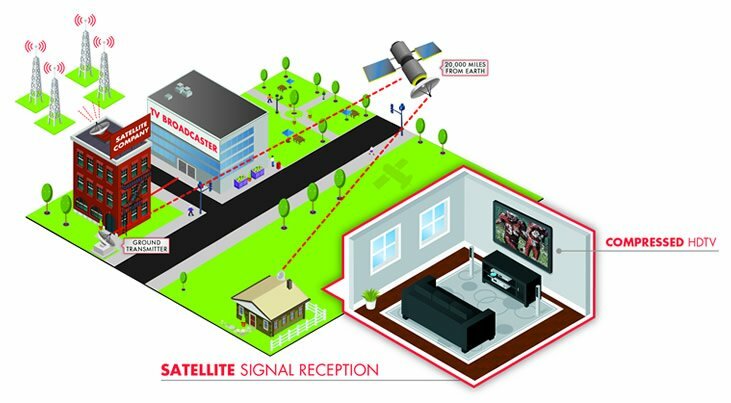 The Satellite signal runs from a ground transmitter to a satellite then back down to your home in a very compressed format.